I spent all week trying to figure out what to do with those *awful* green bricks. 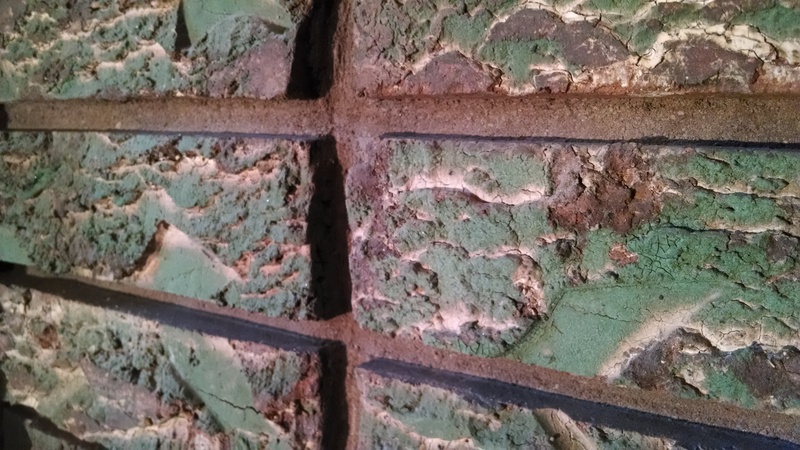 I found a tutorial on pinterest about how to stain brick using concrete stain, but the problem was that green paint (or whatever it is) wouldn’t let the brick absorb the stain. I tried concrete paint thinner. That did nothing. 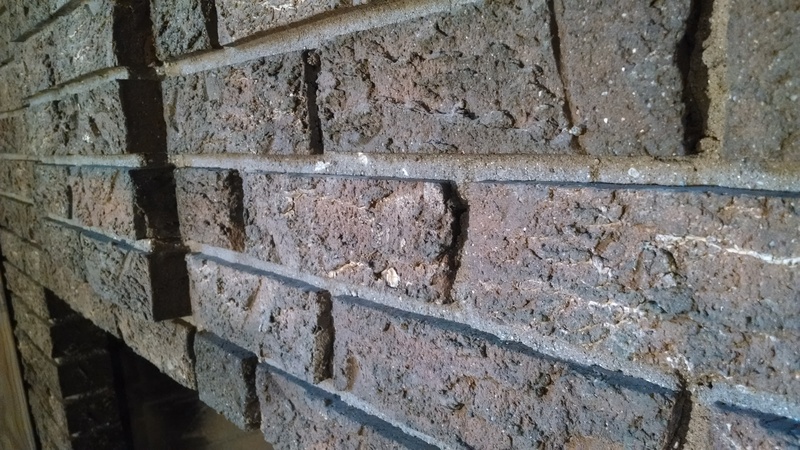 I talked to the guy at Standard Masonry Supply and he recommended trying hydrochloric acid (with all kinds of warnings about how the fumes would melt my face and ruin my lungs). It did nothing. 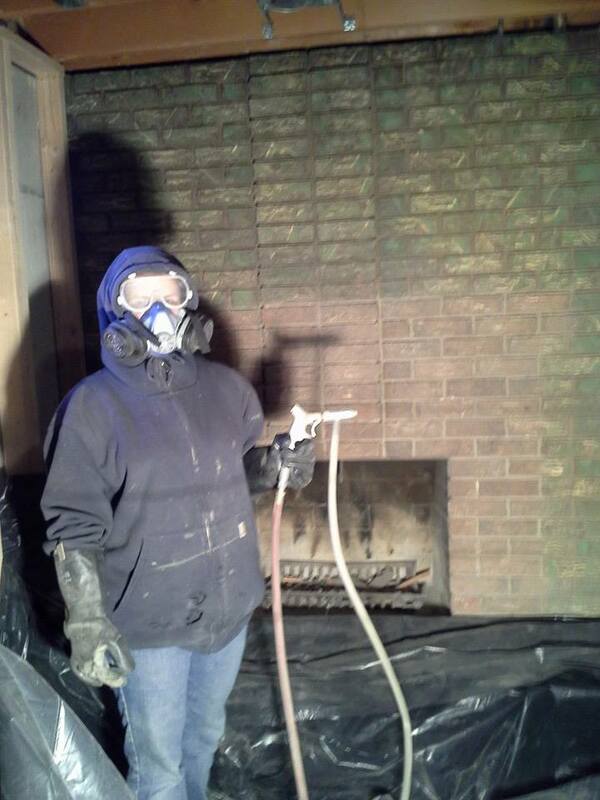 My dad suggested that we try his sandblaster. He hauled over his huge air compressor and all of the sand blasting equipment only to have it flip our breaker. He got to work on the fireplace anyway using the smaller air compressor we had here. 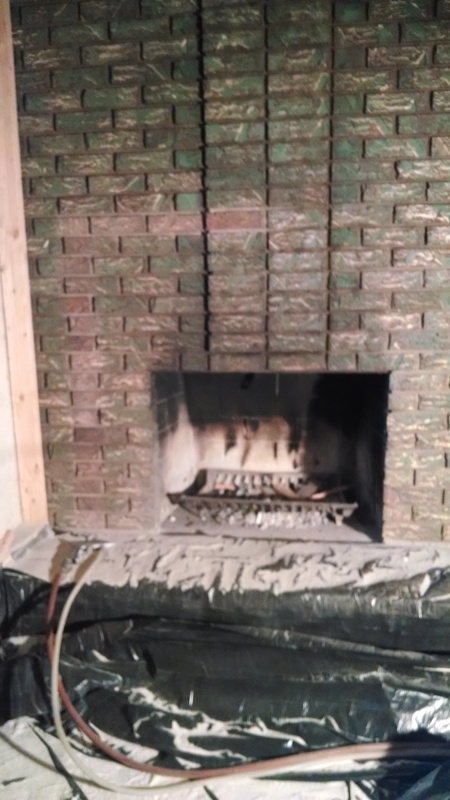 One hour later he had only gotten about 10 bricks done. The next day during nap time I gave it a go. I didn’t make much more progress than him: about 10 bricks in an hour. Meanwhile, Dad had tested out the big compressor and it was working again so we gave it a second try. It was SO MUCH FASTER. In another hour I was halfway done. Saturday morning I put in another couple of hours and was finished by lunchtime. 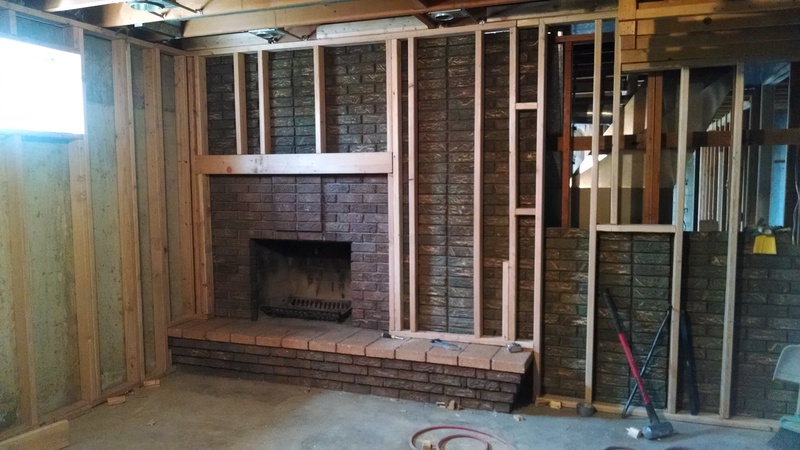 Derek, his brother and dad finished framing over the rest of the brick Saturday afternoon. Hooray! Almost ready for drywall! A few more finishing details and some new wiring to finish up this week. We’re getting close!